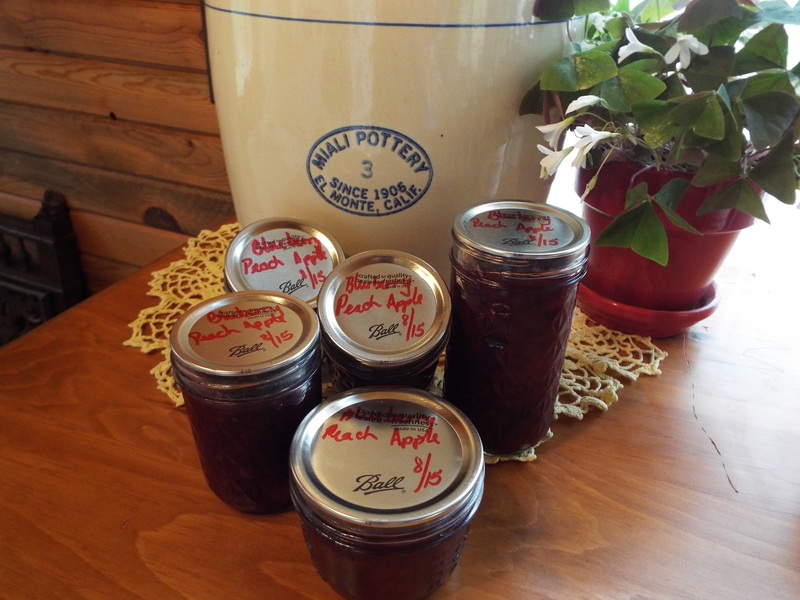 It’s fairly cool during the summer at 8000′ elevation in the Rocky Mountains of Colorado, so any time of the year is canning time. I don’t usually worry about over heating the house with cooking and canning. Maina being in Texas might want to use a crock-pot to cook her fruit, this saves the house from excess heat. Then the canning process can also be done outside on a reliable propane heat source. Eat it, Freeze it, Can it! 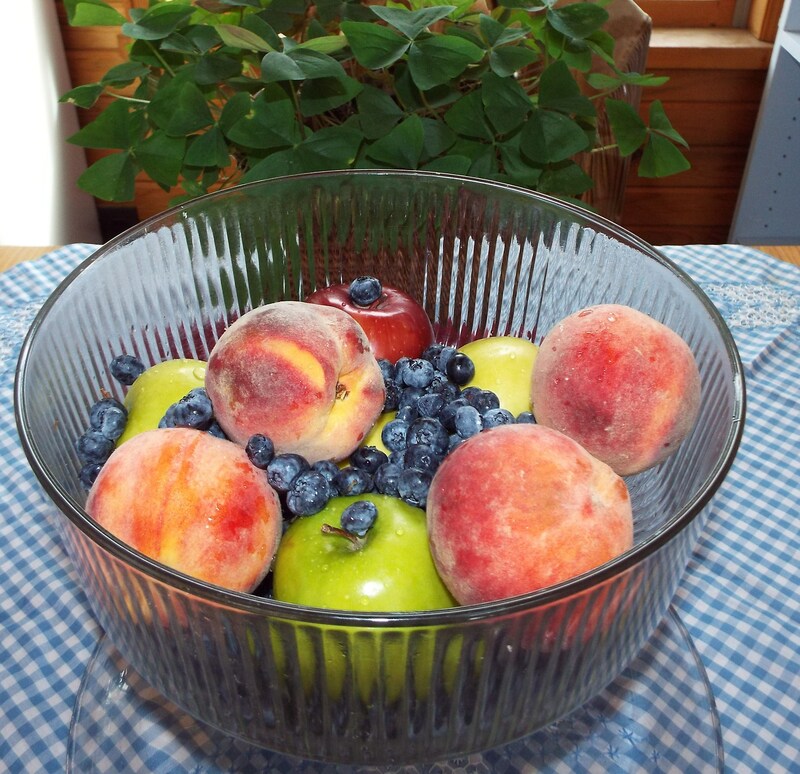 Core and slice apples, remove pits and slice peaches, no need to peel, add blueberries and remaining ingredients to pot or crock-pot. 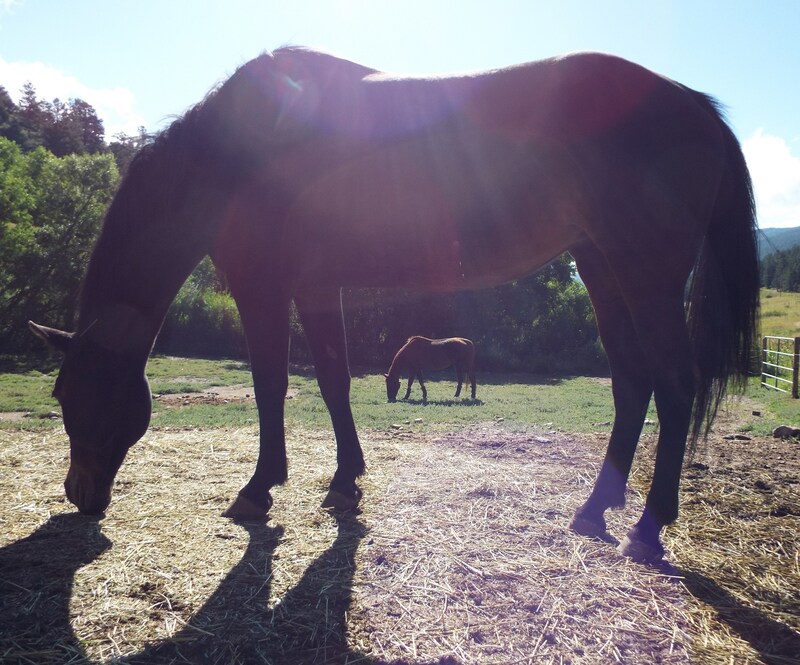 Save the apple cores for the horses! Don’t freak out over the amount of sugar! If you do the math it works out to 16 tsp of sugar per 1/2 pint jar. Now think about the amount used to spread on a piece of toast… Whew, and it’s way better than store bought. Homemade with no preservatives or artificial anything. Stove top: Add all ingredients to pot. Bring to boil, stirring to keep from sticking. Reduce heat to medium. Cook 1 hour, stirring every 15 minutes till fruit and skins are soft. 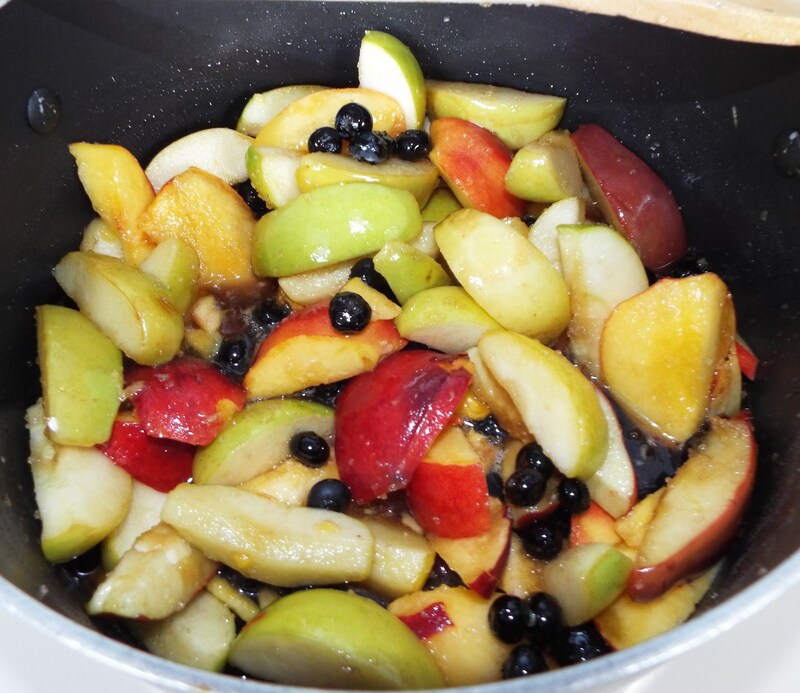 Crock-pot option: Add all ingredients to crock-pot and cook 3-5 hours till fruit and skins are soft. Mashing: I prefer it chunky so I use a potato masher. Immersion blender, mixer and food processor all produce different results. Mash it to your liking. Water bath can: Ladle into sterilized jars leaving 1/2″ head space. Process 15 minutes for 1/2 pint jars. Adjusting head space and processing time for your altitude (high altitudes need more head space and time). Another option is freezing (good for 1 year) in glass or plastic containers or freezer bags. Enjoy a taste of summer in winter! I never thought about doing that… Now I feel so stupid because I used to waste a lot but this is truely an option to not throw it away 🙂 Thanks for sharing. Love your blog!